Depending on your cat’s grooming habits and environment, you may or may not need to clean its ears. Many cats are excellent at grooming themselves and rarely require ear care. Others are not as good with their grooming skills, and will need routine cleanings to help ward off infection. Generally, if you notice wax, dirt, or other debris, then it is probably time for a cleaning. Periodic cleanings and regular at-home checks will allow you to find out about ear issues early, allowing for timelier treatment options. If you suspect your cat may have an ear problem, you should call your veterinarian as soon as possible. 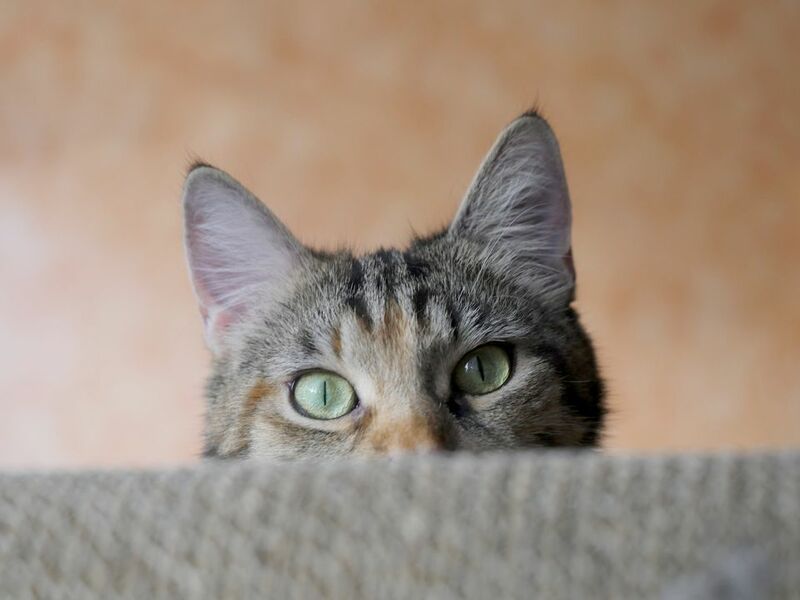 Prompt treatment often offers a better prognosis, can reduce the potential for chronic disease and hearing loss, and may also help with any discomfort your cat may be experiencing. For the best results, begin your ear cleaning with good general grooming. Excess, dirty, or matted hair should be removed from around the ear canal and the ear flap. Heavy, matted, moist ear flaps, surrounding hair, and excessively hairy ear canals will decrease air flow to the ear canal, making it possible for wax and other debris to build up, potentially leading to infection. In some cats, excess hair may need to be gently removed from inside the ear canal; note, this must be done carefully to avoid damaging the ear canal and minimize discomfort to your pet. A professional groomer or veterinary worker can help you remove the hair if needed. You will probably want some treats on hand to keep your cat calm. Cleaning your cat's ears is an easy task that takes about 10 minutes. Be sure to assemble the supplies and perform the cleaning in a space that's comfortable for your cat. Warm the olive oil or ear cleaner to body temperature by placing the container in a warm pan of water. Place the cat on a table or counter. Put a drop or two of the liquid (either the olive oil or commercial ear cleaner) into the round opening of the ear canal. Gently massage the base of the ear for at least a minute, to work the liquid around. Repeat steps 3 and 4 with the other ear. If it's easier, you could put the drops in both ears and then give your cat a double ear massage. Leave your cat alone for 5 minutes. Your pet cat will likely do a great deal of head shaking, which will dislodge dirt and move it into the outer ear canal. After 5 minutes, use clean cotton balls to wipe away oil and dirt from the ear. Give your cat a treat for being so good. As your vet will tell you, you can use the same techniques for administering medication to the ears, with the exception of steps 1 and 7. You'll want your cat in a relaxed state during the cleaning, so don't push the cleaning if your cat feels stressed. Avoid using cotton swabs or any other aggressive tool for cleaning, as these can cause serious injuries. Aim to clean both ears on the same day: You don't want to get only half the job done and it's best for the cat if both ears are cleaned at the same time. If you suspect an issue with your cat's ears, or see something that looks out of the ordinary, speak with your vet. Cleaning your cat's ears regularly will get you comfortable with what is normal and what is not.